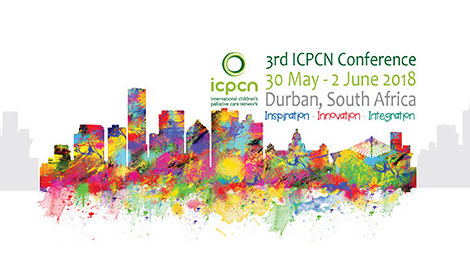 Building on the success of our two previous ICPCN conferences in Mumbai in 2014 and Buenos Aires in 2016, the ICPCN is delighted to present the 3rd ICPCN Conference: Inspiration, Innovation, Integration to take place in Durban, South Africa from Wednesday 30 May – Saturday 2 June 2018. The conference will bring together people from around the world and from all professions who work with children with life-threatening and life-limiting conditions and facilitate the exchange of knowledge, new and innovative ideas, research and experiences. Chair Sabine Kraft opens the conference and holds a workshop on the international children’s life walk. This conference is for anyone who works with children who are or may be affected by a life-limiting or life-threatening illness. With a line up of world class invited speakers, the conference programme promises to provide rich opportunities for professional development and networking and aims to be a catalyst for the development of expertise in children’s palliative care in South Africa. 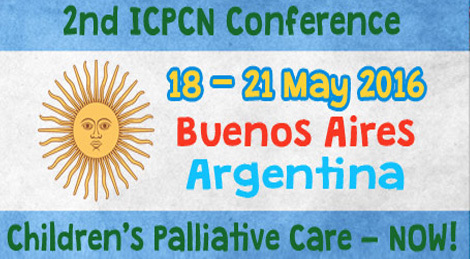 Building on the success of the first ICPCN conference in Mumbai, India, the International Children’s Palliative Care Network is delighted to invite you to attend the 2nd ICPCN Conference: Children’s Palliative Care – NOW! The conference organisers invite multi-disciplinary professionals from around the world, including doctors, nurses, social workers, other related professionals, parents, volunteers as well as representatives from various hospitals, institutions and organisations to attend and participate. With a line up of world-class plenary speakers, the conference programme promises to provide rich opportunities for professional development and networking and will begin with a full day of preconference workshops on 18 May.